Steve Andrews Tyres is a local trusted tyre company with a great reputation. 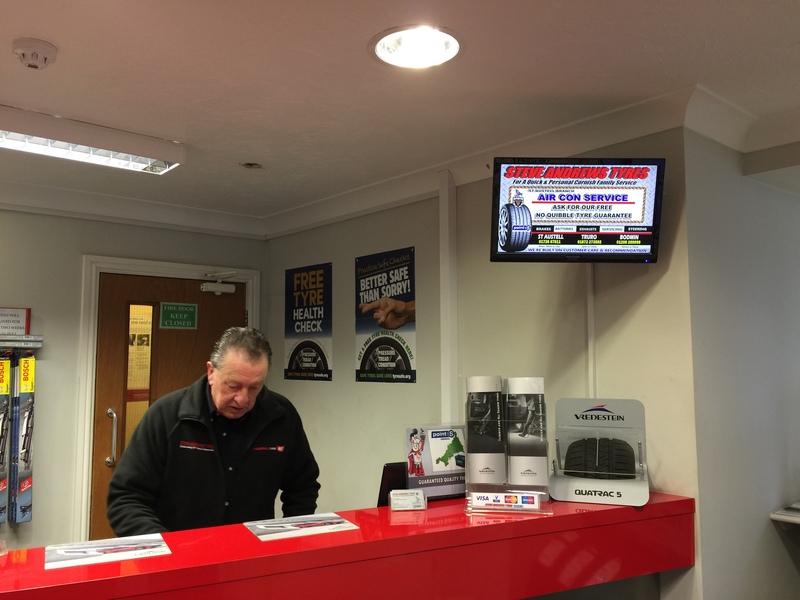 All our screens are located in the waiting areas of the service centre. people generally drop their vehicle off to the drop off point and then sit in the waiting area for a tea of coffee. 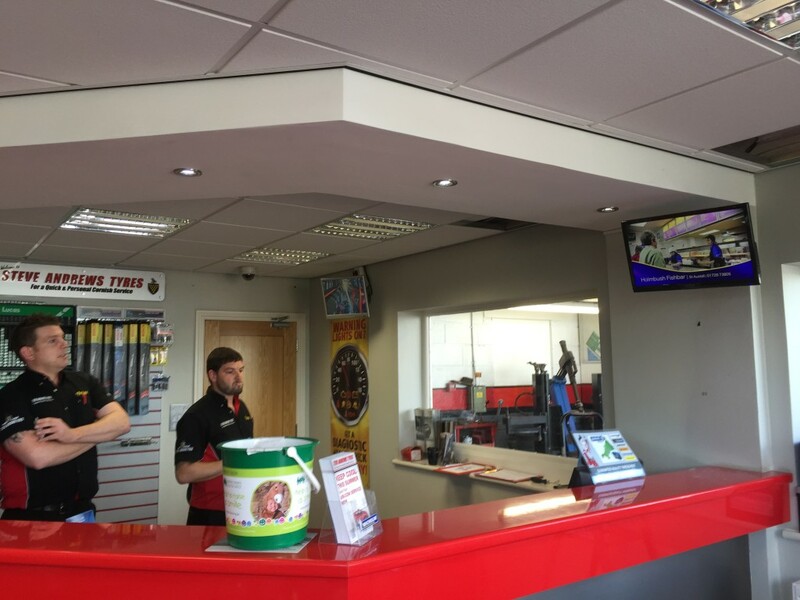 The screens are in full view of the customers and your advert will be seen regularly on the screen. 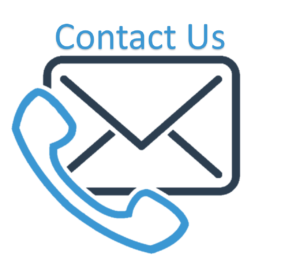 This is the perfect opportunity to get your business seen by a captive audience. 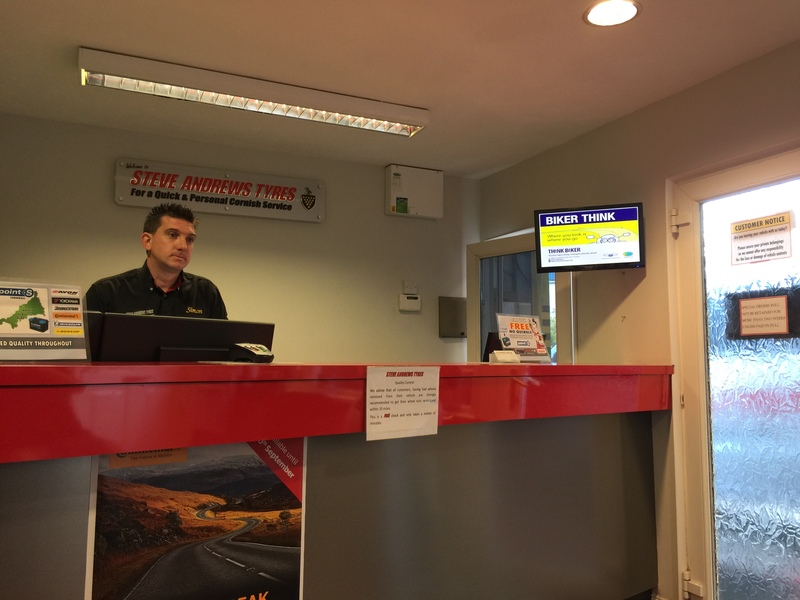 Steve Andrews tyres has three branches Bodmin, St Austell and Truro. Each with a 24″ advertising screen. See images below….